A robust insurance sales process is your key to success—does yours measure up? Good news. 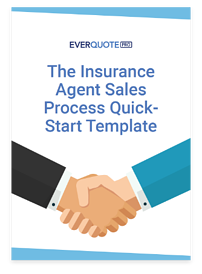 Implementing an insurance sales process has never been easier. No matter what kind of insurance product you sell, you can benefit from having a strong sales process that your producers can follow from beginning (finding and calling leads) to end (binding policies). But don’t waste time reinventing the wheel—implement these proven steps right now.